I cannot believe that this semester is practically over. These past few months have really flown by and I have learned so much! I would consider this semester a success for me because not only is it my last one at Champlain College, but I learned a lot about myself, marketing, branding and of course tea. Working on this blog has furthered my passion for tea and makes me really excited to see that I have people who are read my blog. Before we even started this project, we were assigned to read a book called Crush it by Gary Vaynerchuk. It taught us to identify our passion and then how to crush it. This book provided the basis for my personal branding project and I’m really glad that I read it. Once I established that I wanted to write and learn more about tea—by brain wouldn’t stop. I had so many ideas it was hard to actually filter them out in some sort of organized manner. 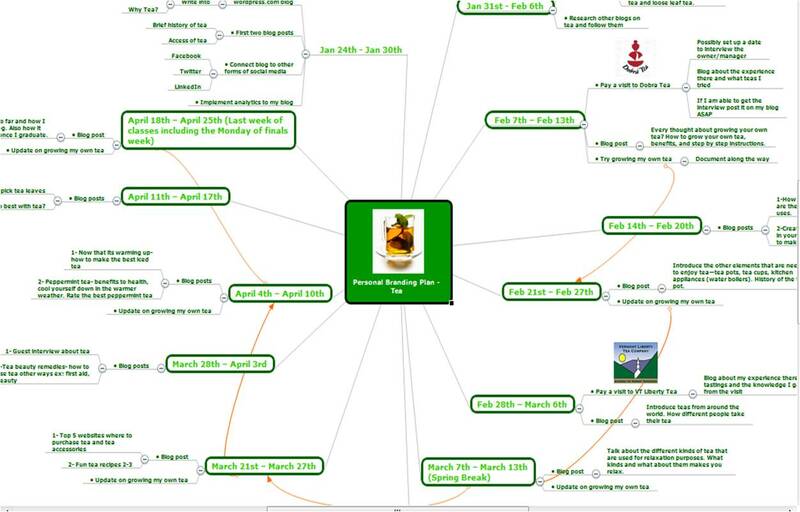 I made a mind map of how I wanted to tackle this project and that was my “timeline” if you will. It has been about 4 months since I made that map, and from the looks it, I didn’t accomplish as much as I had wanted to. Last semester of senior year can be a tad hectic but, I did start to get my brand out there. I wanted my blog to be a learning journey not only for me, but for my readers too. I love tea, but that doesn’t make me an expert. However, visiting those who are experts and trying to get the most out of my research was a lot of fun. Today tea isn’t exactly a rare item, but the history and information about tea seems endless. Since Katherine’s Tea Pot is my first blog, it was definitely a work in progress and a big learning adventure. From the get go I knew that I wanted my blog to be fun to read. I am an easy going person and I wanted those who read my blog to read it as if I was just talking to them. I wanted to make it personal and try to engage my viewers. As time when on, comments made me so excited when I would get one, and I’d always comment back. I was extremely grateful to those who took the time to read what I had to say. As I got going I started out with only a few readers. 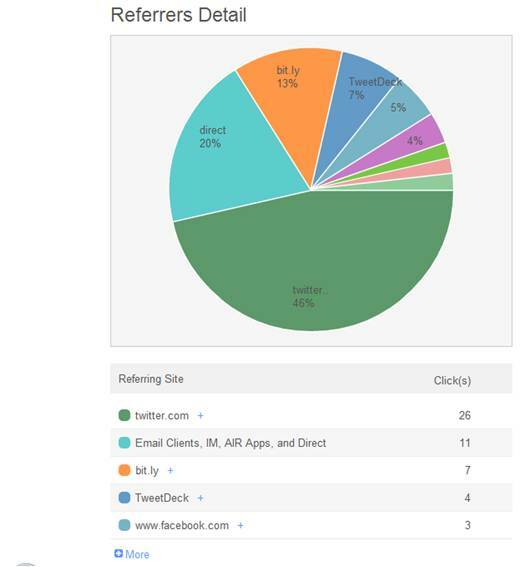 I implemented some marketing via my social media outlets like Twitter, Facebook and LinkedIn and I also tried some word of mouth when the topic of tea came up. (Oddly it came up a lot more than I realized). 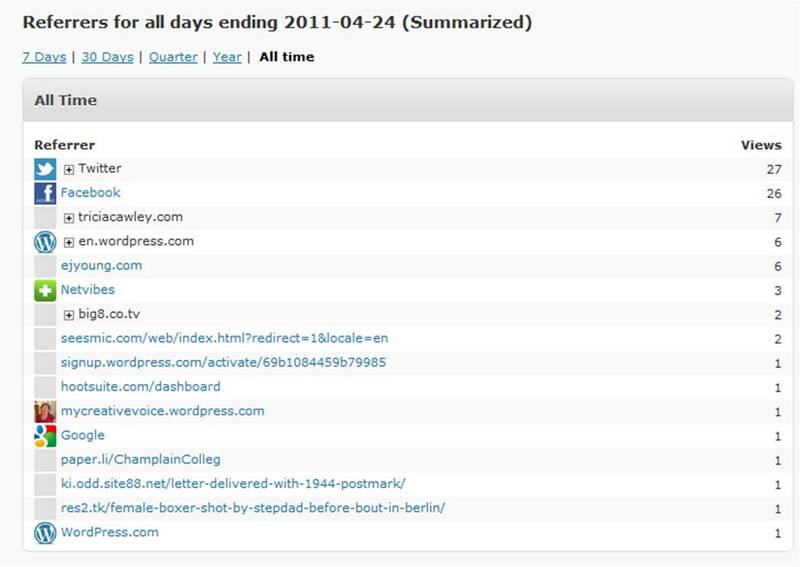 I also made a customized bit.ly link http://bit.ly/kteapot to help with limited character postings. My stats for the first month weren’t exactly stellar, but got better as I generated some content. Here is a bar graph measuring the number of views to date for months and weeks. So far, 3 people have subscribed to my blog and I have gotten almost one comment per post. Granted some of those who left comments were people I knew, but for those I didn’t, made them all that much more special. Crushing it takes time and passion, and as I exit the college life and enter the “real world” I have plans to continue with my blog. I still have much more to learn and to share with the tea community. I hope this post finds you well and I look forward to writing more posts for you. A big thank you to everyone who referred my blog over this past semester, you guys are the best! I also made a banner change to incorporate myself and the title of my blog! Hope you like it! It’s that time of year again! It’s starting to get warmer, the snow is melting, and jackets are starting to find themselves being left at home. Summer is on its way! So for those of you (like myself) who do not enjoy drinking hot beverages in the hot weather, there is always an alternative…Iced tea! Still to this day, my mom tells the story of when I was in middle school: I had a friend over and my mom made us lunch. She offered us some iced tea to go with our sandwiches. Of course I yelled, “YEAH!” and my friend decided she wanted some too. So my mom went over, poured some iced tea and gave it to us. I took a sip and said “Yum!” my friend took a sip and spit it back out. 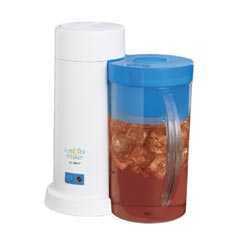 This is the iced tea maker that my mom uses! Voila! Easy and delicious. If you like flavored tea: my personal favorite is Orange Spice Lipton Tea. 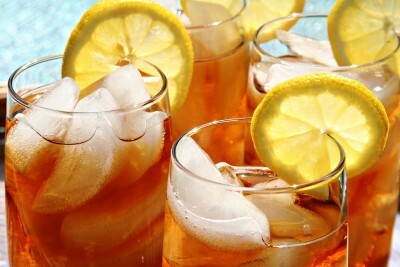 I did some research on different ways people make iced tea before I wrote this post. While looking I found this great website Teavana. 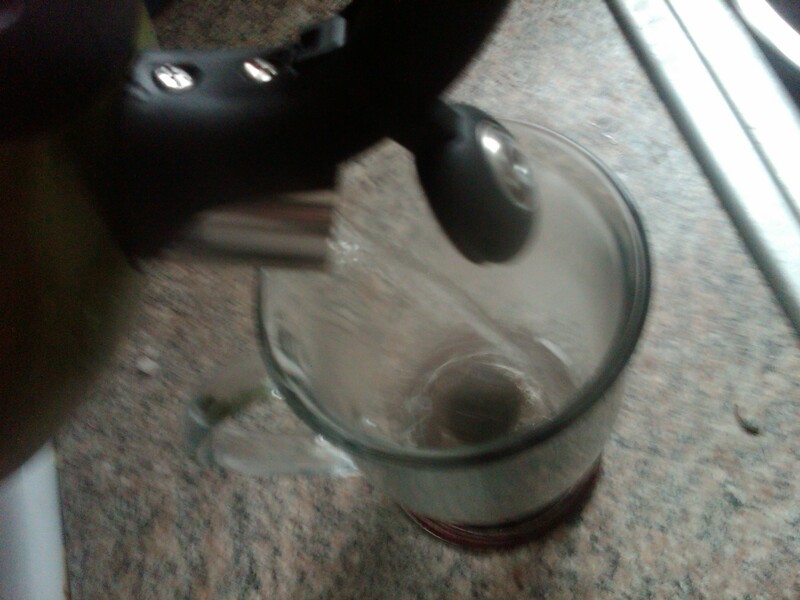 They provided a informative way of making iced tea with loose leaf tea leaves. One really interesting tip I learned on this site was for those who prefer sweetened tea. 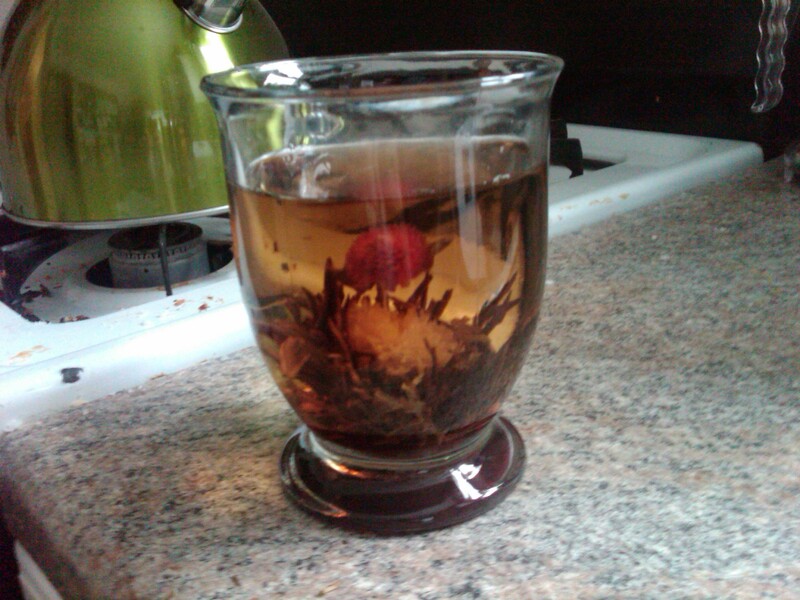 Don’t add white sugar after you brew the iced tea, but use rock sugar during the time you are steeping the hot tea. 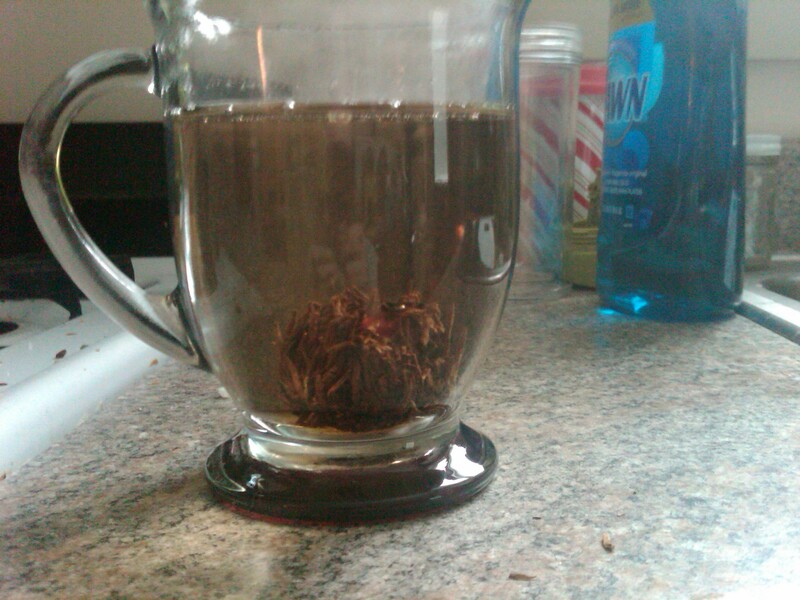 Now that I have my own loose tea brewer I plan on making my own iced tea this summer! I hope folks are having a good week, and let’s hope for warmer weather! Tea—One plant, Many different types! It was a wonderful day out today! The prefect day to learn something new about tea, and for me to write a new blog post! 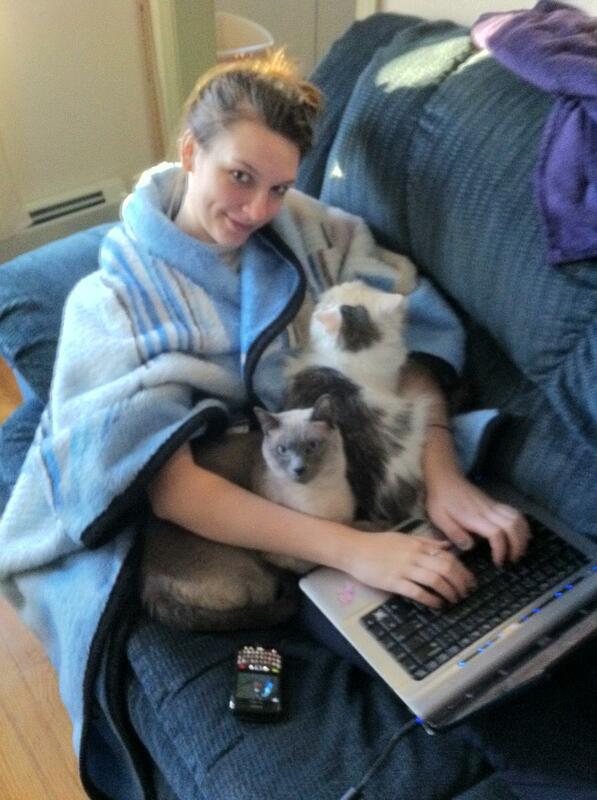 I also have my cat Cricket and my roommates cat Lefty here too for moral support! If you have ever gone to a grocery store and looked at all the different types of tea there are available in tea bags, then you can imagine how many different types of loose leaf tea there are! Well to be exact, there are 6 main types of tea. They are all classified differently because of the times of when they are harvested and what happens after that too. 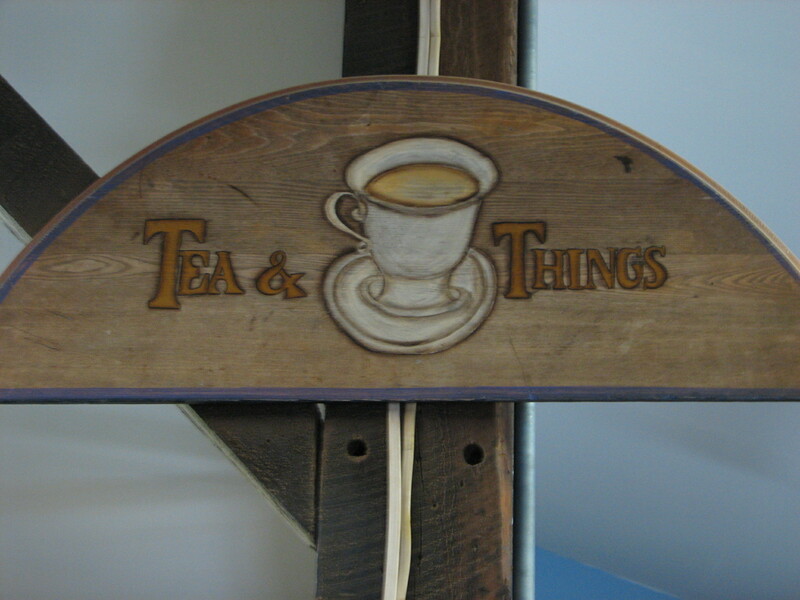 The first two types of tea are probably the most popular. Green tea is wonderful tea. Not my personal favorite, but I’ve always had the mindset that Green tea is the healthiest out of all teas (not completely true). So what makes Green tea different than say… black tea (which we will talk about next)? Side note/fact oxidation is the chemical reaction of tea leaves withering and/or dying after it has been picked. Just like if you pick a flower and don’t stick it in water then it will start to oxidize and then die. 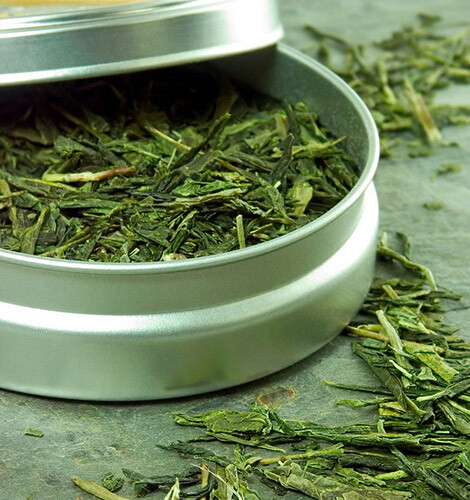 With green tea, you cannot let the leaves oxidize at all. They need to pick and dried right away! This allows all of the good stuff associated with what makes Green tea healthiest to still be. When oxidation happens a lot of those nutrients start to disappear. My personal favorite! 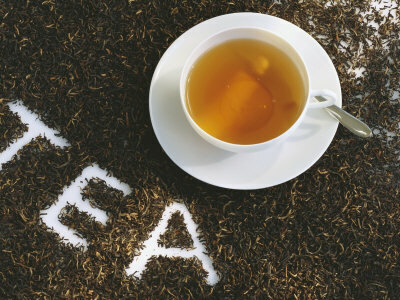 Black tea is essentially the opposite of Green Tea. 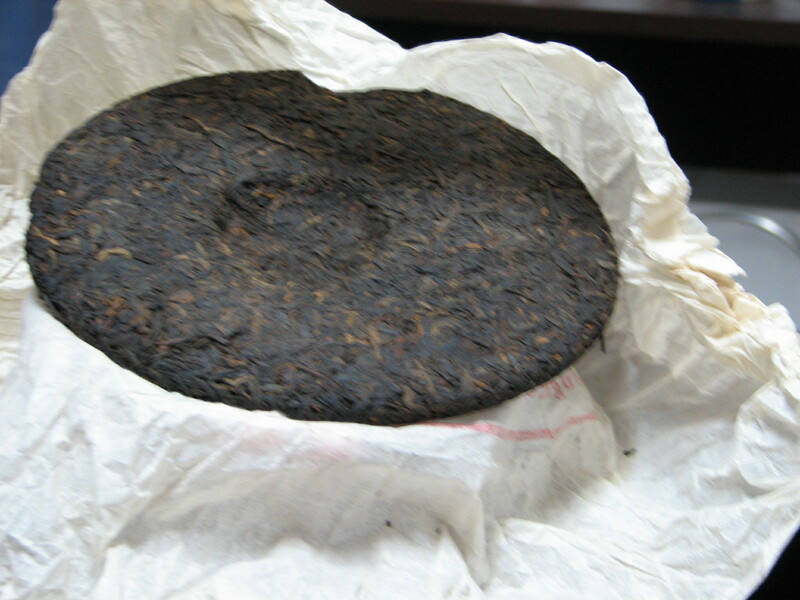 Black tea is oxidized for a while allowing the leaves to “ripen” which adds a deeper taste. It is like fermentation for tea. Different tea growers will allow the tea leaves to oxidize for different amounts of time for different tastes! This is the happy middle between Black and White teas. 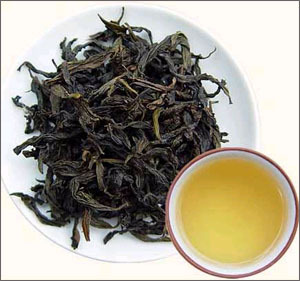 If it is closer to the less oxidized end near green tea it would be a “green style” Oolong. If it’s closer to Black tea end then it would be considered “amber style” Oolong. White tea is a very unique tea compared to the others. 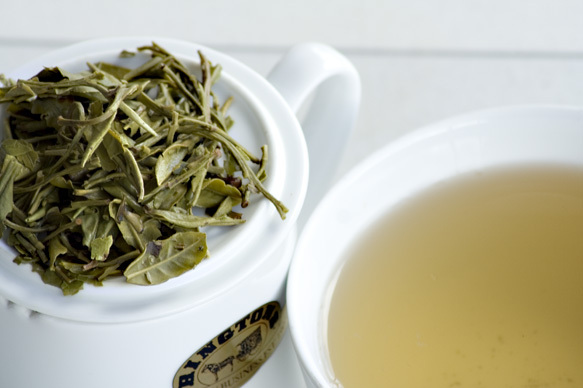 White tea leaves are picked before the leaf buds are open all the way. It allows the leaves to still have the tiny hairs on them. After the leaves are picked they are very quickly dried. This tea is pretty expensive and not the most popular. 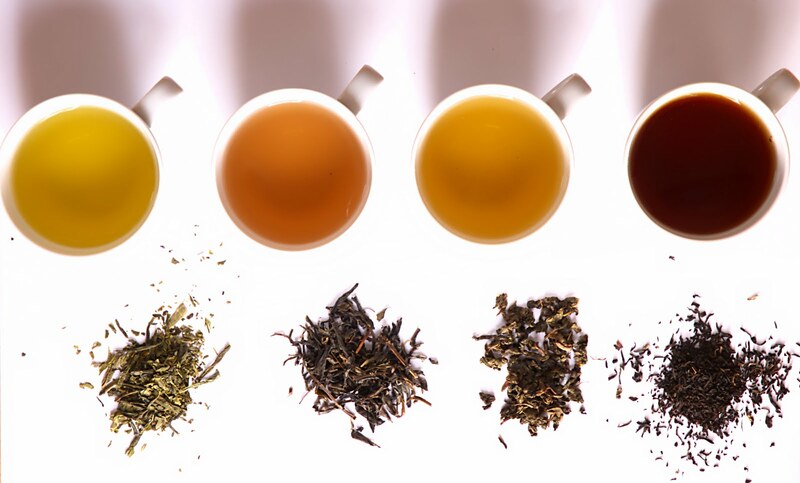 However, there are claims that white time has 3x more antioxidants than the other teas. Not to shock anyone, but you cannot grow flavored tea like Mango Green tea. Flavored tea is mostly black tea’s that are just soaked in different flavors both natural and artificial. There are some really unique flavors out there, but my Mom’s favorite flavored tea is Orange Spice. It is very delicious. Guess what? No really guess! Herbal tea isn’t really tea! J Herbals are made from herbs, seeds, flowers, roots, etc. They are usually mixed together to make really great tasting herbal bend. These are more popular in the Eastern countries. Now you are semi-well educated on the different types of teas, go out and get some of each kind and do a little tea tasting! It is really fun. You could always turn it into a tea party and invite your fellow tea lovers. To most, tea is just a beverage. 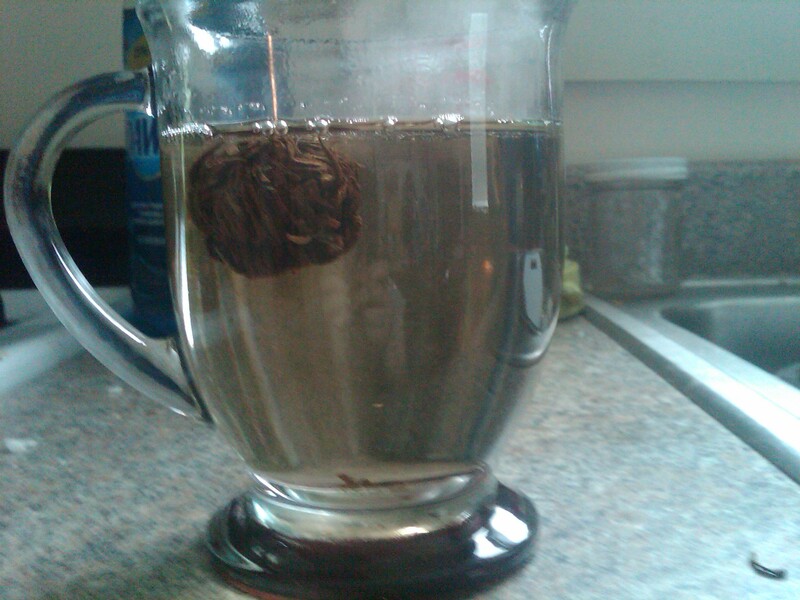 Hot water + tea bag or loose leaf tea = yum. However, there are some ways to have fun with your tea! Tea has been considered an art form for a very long time. Especially long ago when there were competitions to see who could perform the best tea ritual. Today, there are literally ways to make your tea look pretty. There are teas that are hand sewn with flowers to make tea more decretive. It looks like a ball of dried up leaves and maybe even some sticks—however it turns into something beautiful once added to hot water. 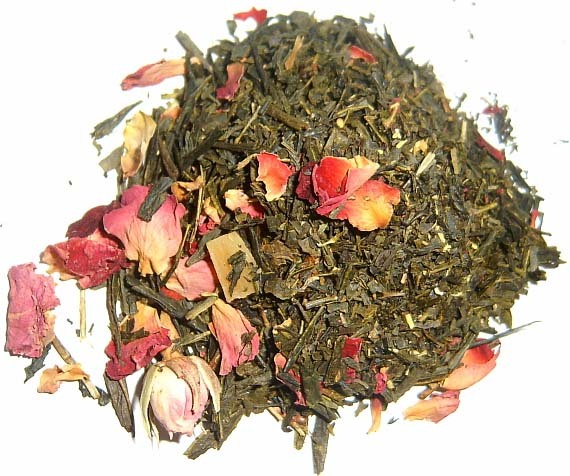 You can get this type of tea online, or like me travel to Waterbury and visit VT Liberty Tea. When you are making this kind of tea, it is very important to not to pour boiling water over the ball because it could possibly ruin the flower. Just below boiling would be best. Also allow 10 minutes to steep to see the full flower. 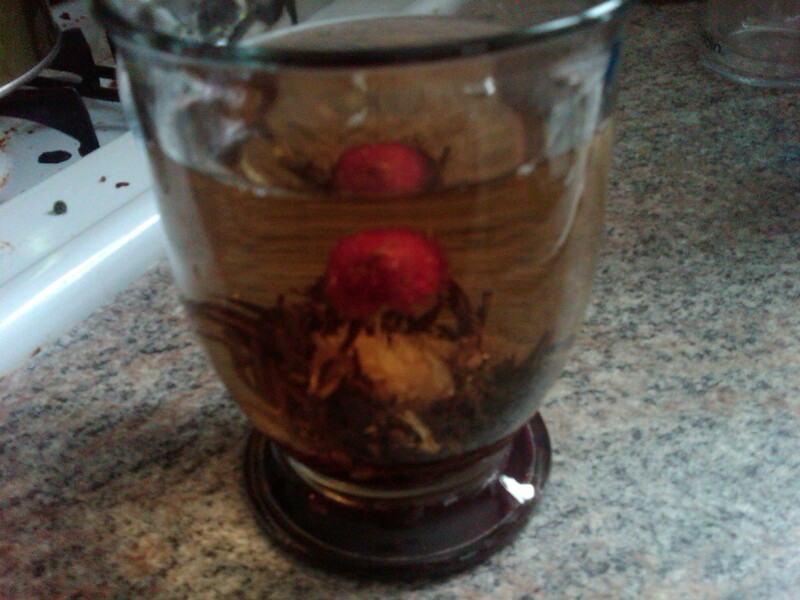 The name of this tea is called Fairy Peach. Here is a series of photos showing what the process of brewing this tea looks like! I see a little pink! Now I think that is pretty much the coolest thing ever! While I was at VT Liberty Tea, John the owner told me a really interesting story about the legend of how these tea/flower balls came to be and why this particular tea flower was called Fairy Peach. Preface: In ancient China for birthdays you gave your guests peaches as parting gifts (today we give goodie bags). There once was an Empress goddess that lived in China who was very powerful and lovely. She had a birthday coming up so she asked the Monkey King to go out and get her peaches so that she could give them to her guests. The Monkey King agreed because this was a great honor, and he ventured out to find the best ripest peaches around. Once he gathered them he went back to give them to the Empress goddess. On his way however, he became very hungry and ended up eating all the peaches by the time he arrived. The Empress was very angry and stripped the Monkey King of his title. Very upset by this the monkey wanted to do something to make up for his mistakes. He went and found some sympathetic monks. They then taught him how to sew flowers and tea together to make a little ball that looked like a peach. 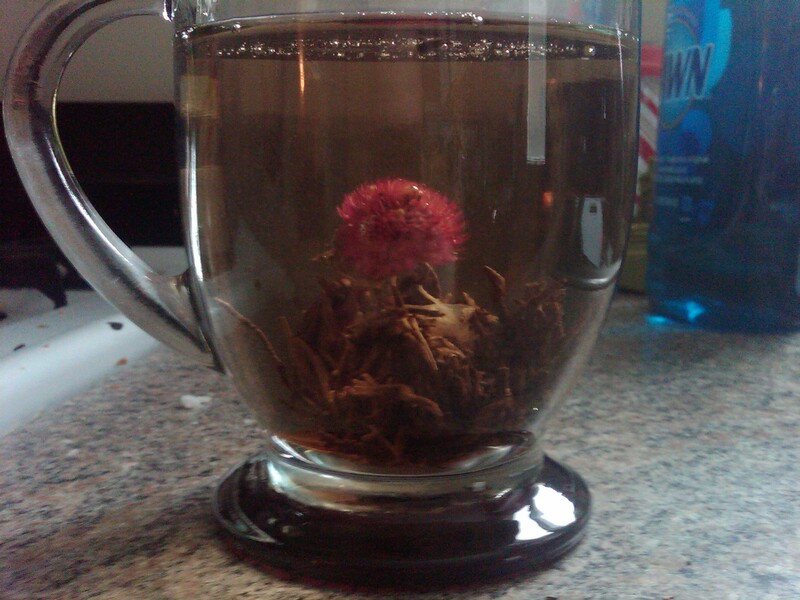 This would then bloom when it was steeped with hot water. He made them for all of the guests at the Empress goddess’s party and went offered them as an apology. All the guests loved this new creation and the Empress goddess was very pleased. She then restored the Monkey King his title and all was well again. This whole learning process for me was really interesting. I had read about this kind of tea online, but now that I’ve actually had the change to experiment with it myself, I recommend this to any tea lover with a passion for creativity. Hi everyone! Are you enjoying this little increase in temperatures over the past few days? I know I am. Gaining an extra hour of sunlight was especially exciting for me. I know that my young tea garden will enjoy a little more sun as well. Can you believe it? I planted tea! It was a wonderful experience and wish I had made this post earlier. It wasn’t hard to do at all and I feel pretty confident that germination could be sooner than I was told. 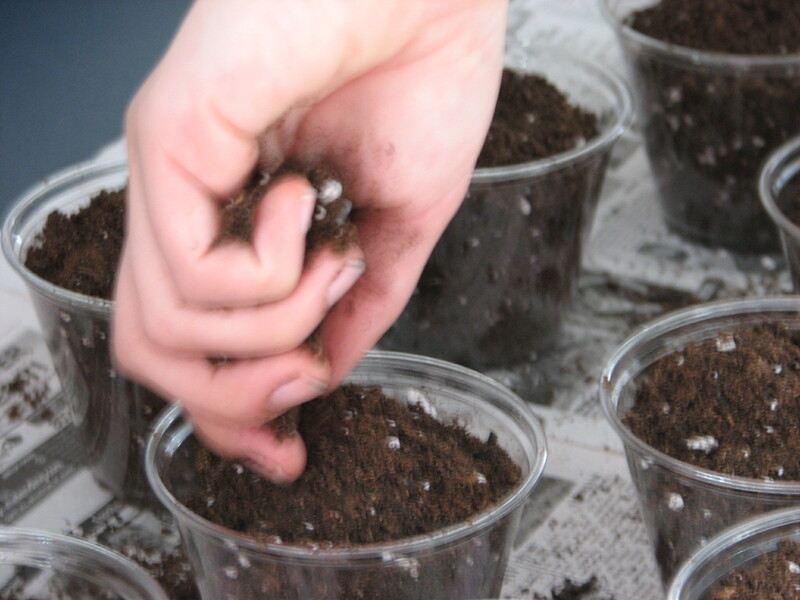 I started by using the recommended soil which is a mixture of regular soil and sand/cardboard shavings. This allows for breathing and the water to easily get through to the seeds. 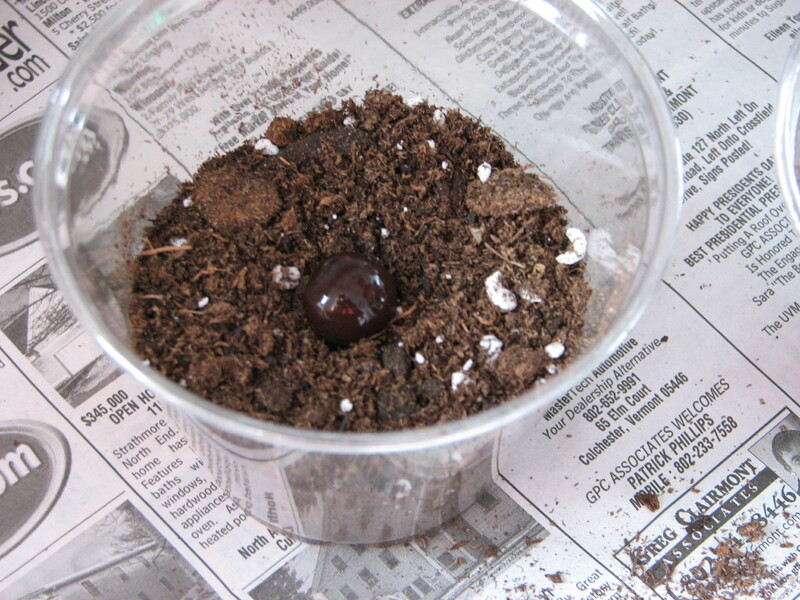 This soil is actually used when planting a cactus. 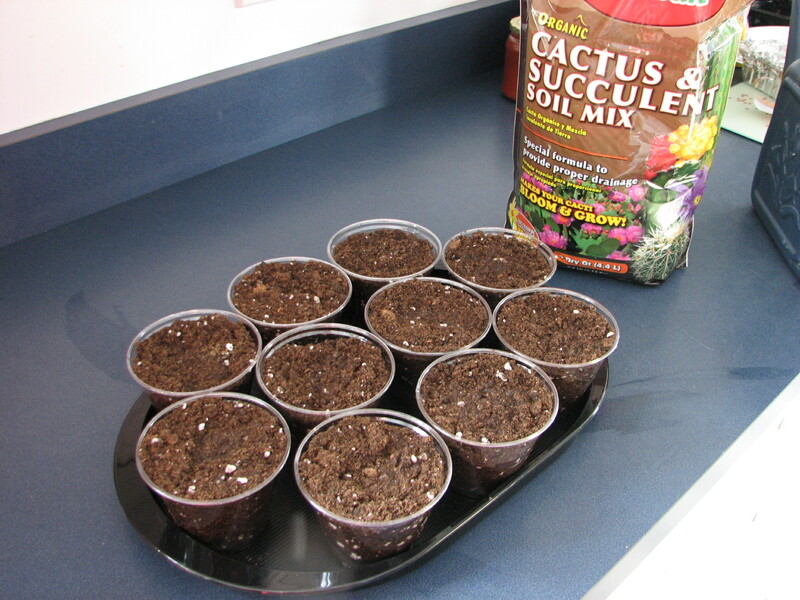 I thought that was pretty interesting that you would use the same soil for planting cacti as you would for tea. 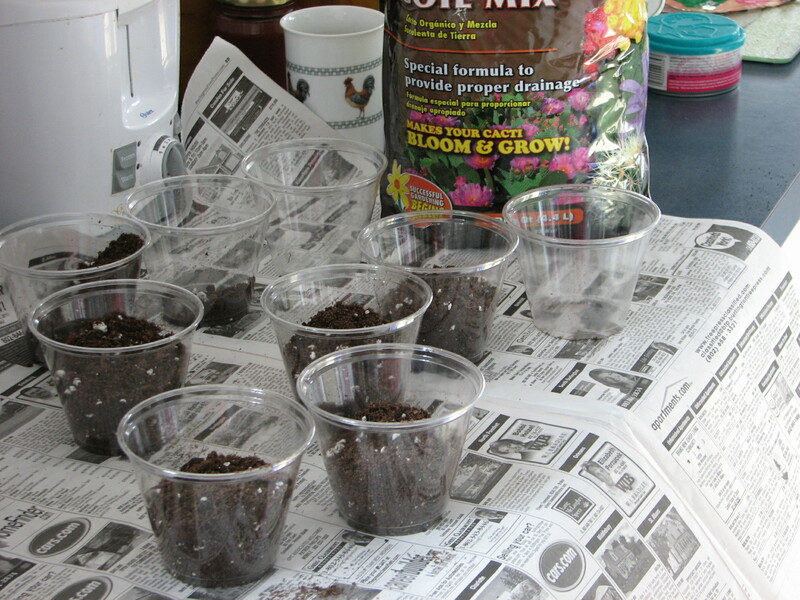 I filled up the bottom half of the mini solo cups with the soil. 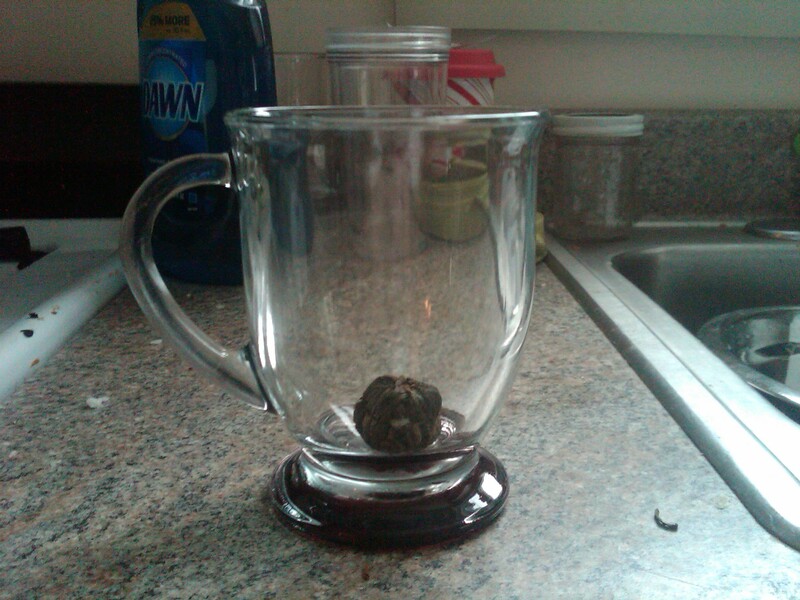 I am using these cups as a start until the tea seed germinates. Once that happens I will replant them into a bigger pot. However, for now this is where they will remain. 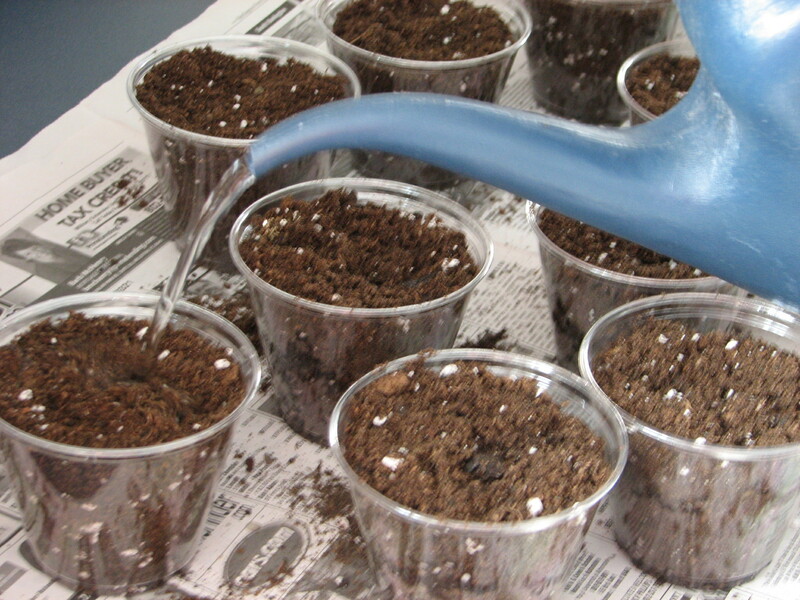 Once you do that for all your cups then you place the seed in the middle of the dirt. Then fill the rest of the cup up with the dirt. Don’t pack it down. It needs room to breathe and get water! Next water! All living humans, plants, and animals need H2O! I gave the cups a pretty hefty drink for their first time. I wanted to make sure that the water reached the seeds. You should water the seeds frequently however, not too much as you don’t want to drown the seeds. A nice aspect about tea plants is its resistance to drought. So if you forget to water for a little bit, not to worry. These plants are troopers. Now all there is to do is play the waiting game. However, I am a pretty impatient person, so in addition to planting seeds, I am looking into buying a baby tea plant and growing it until it is ready to be harvested. This way I can still provide updates on growing tea even if my seeds decided to take their sweet time germinating. I hope everyone had a great weekend, and will continue with a nice stress free week. However, if stress can’t be avoided, drink a cup of tea! Hey there everyone, hope you’ve had a great February as we now head into this hopefully warmer March! What did everyone do on their last day of February? Aside from it being my good friend Tricia Cawley’s birthday, *HAPPY BIRTHDAY*, I took a trip to Waterbury, VT with my mom. Now why would I go to Waterbury might you ask? 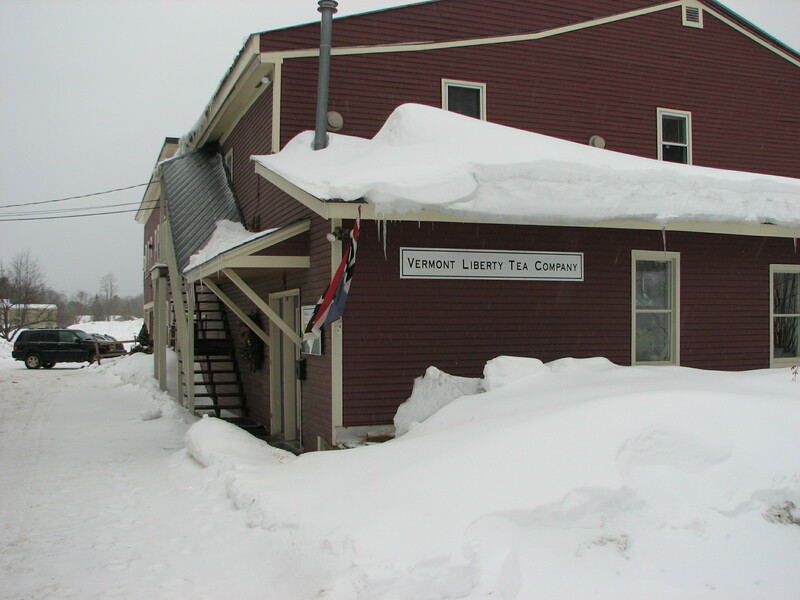 Well there is a little business located there called Vermont Liberty Tea. Now let me tell you…SO COOL! We met the owner John who was extremely friendly and taught me so much! It was truly a wonderful visit and would recommend anyone to go there and check it out. Anyway I’m going to share with you the information that John shared with me about tea. It was all super interesting and he told me a lot more than I’m going to write (I could only take notes so fast! ), but these were pretty interesting facts. When we arrived to the building, the first thing I did was take pictures of the outside. Even though it was snowy, sleeting and basically like walking on a huge ice cube, I was overly eager. I needed to run over and snap some pics to get out my pent up anticipation and excitement. My first thought when I walked in was this place is adorable! I was instantly wide eyed and looking around at all the cool things. We were greeted very quickly and asked if we want to try a tea sample. We hadn’t been here longer than 3 seconds and we were already getting free samples—heck yes! 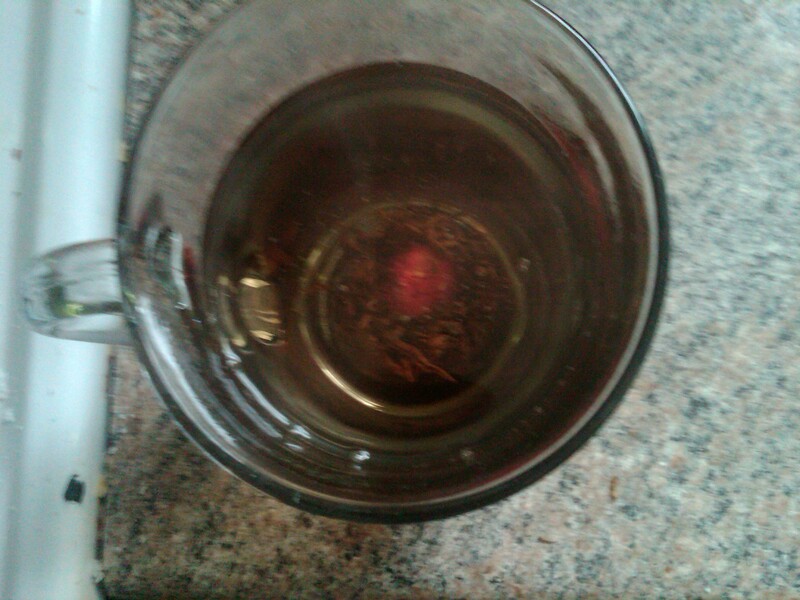 My mother tried a delicious Rooibos tea called Chocolate Indulgence. I tried Keenum Yiji which is a black tea that sort of has a hint of coco—it’s pretty stinkin’ good. So now’s my chance! I introduced myself and my mom, and told him the reason why I was making the trek to Waterbury—Tea Blog! 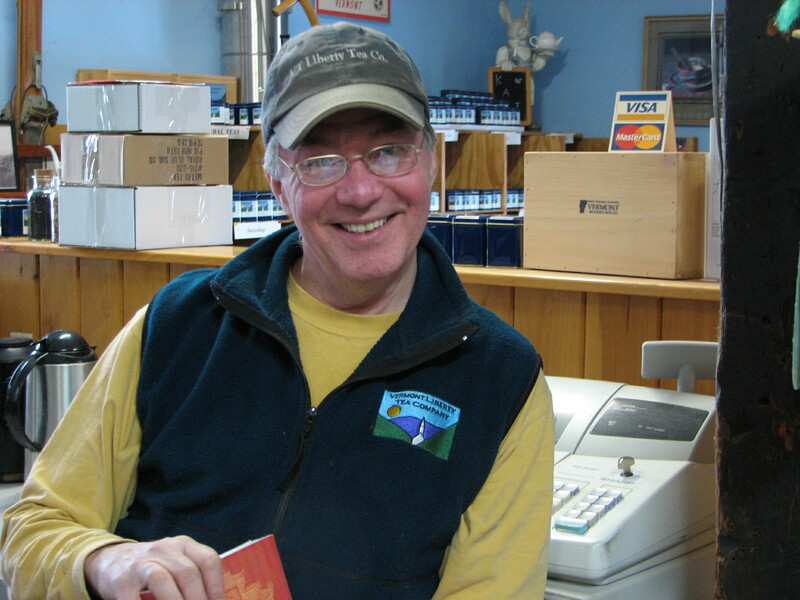 He immediately started telling me about Vermont Liberty Tea and really interesting facts. I then told him about my brave task of trying to grow tea. To add to my garden! 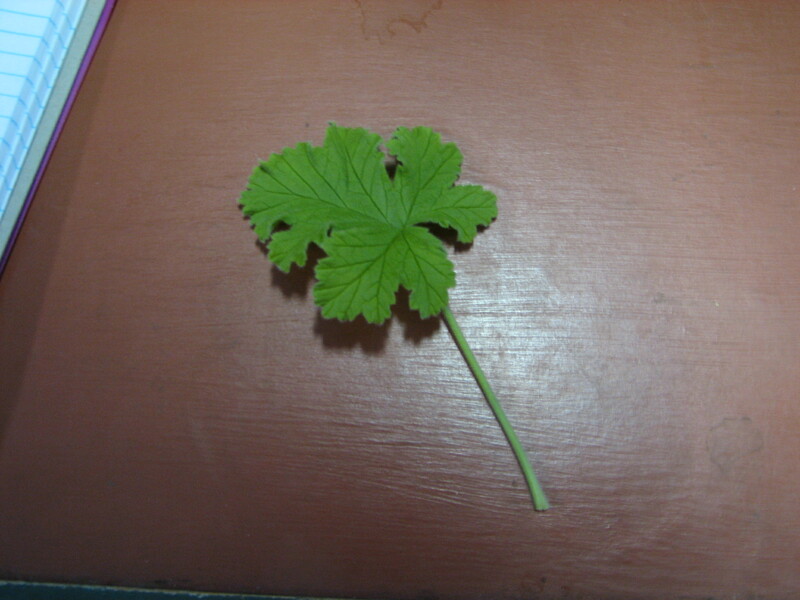 He gave me the leaf of a Rose Geranium which would root just by putting in water. He also taught me how to easily grow my own ginger. I now have my own little indoor garden started! I started to look around the store more and found some awesome things that I ended up purchasing myself. They were pretty much the best purchases I’ve made lately. Then I looked up and noticed a large brick of tea. It was relatively large and looked really cool. 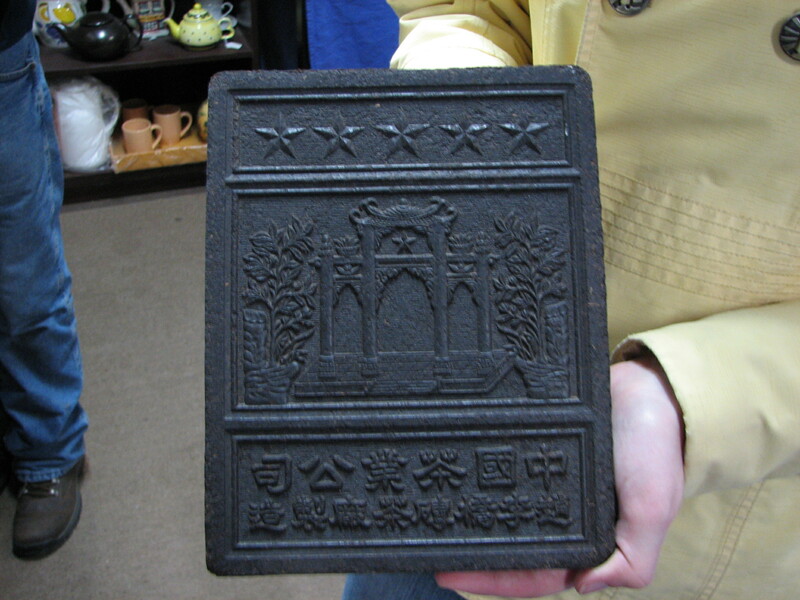 The Chinese back in the day really placed a lot of value on tea and they would be sold in compressed bricks, or even used as currency. 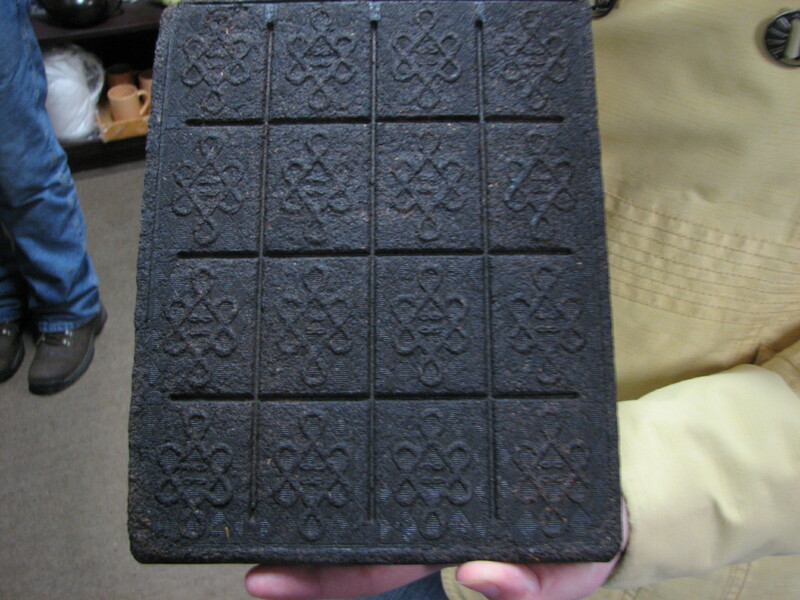 If you had a brick of tea and used it for decoration it was a sign of wealth. I thought that was a neat fact. Another crazy thing he showed me was called Pue-Rh. It was also semi-compressed and in an upside down hat shape. He then began to tell me that this tea was aged in a cave for a really long time. The older the Pue-Rh the more expensive, kind of like wine (certain years are better than others too). Just to give you an idea of how expensive this stuff could be—to get Pue-Rh dated at 1985 sold in Park Height (a store) located in Washington DC it would be $300. That would put a damper on your wallet, however they come in different shapes! Fun Fact: In Salem, MA during the 1700s, the people of the town would boil green tea leaves in water, then throw out the water and then proceed to put butter on the leaves and eat that. Weird. I learned so much from this wonderful trip, and I’m excited to further continue my tea adventures throughout VT. 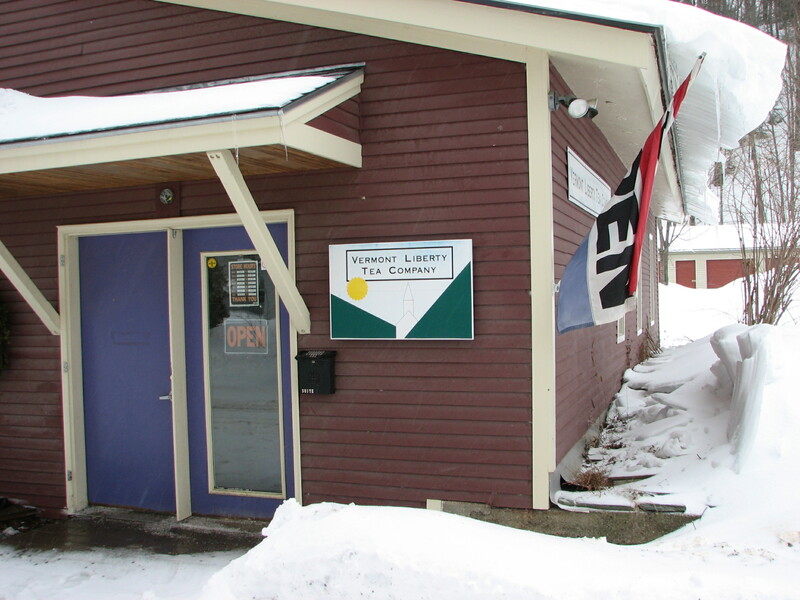 I would like to give a special thank you to John from VT Liberty Tea for being a tea guru, my mom for driving me there during pretty awful road conditions, and Elaine Young my teacher for recommending me to go to Waterbury! Go drink some tea! Ever thought about growing your own tea? I have and I’m in the process of doing so. I’m pretty excited to try this out. My mom is really good at gardening and such so I’m hoping she passed down the green thumb gene. 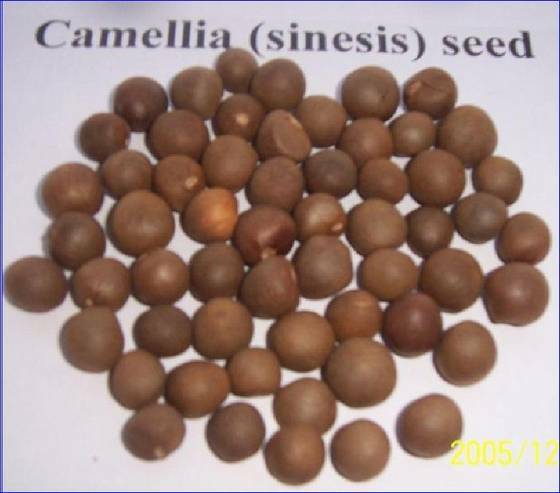 The scientific name for tea is Camellia Sinensis. As I mentioned in my health benefits post ALL types of tea come from the SAME plant. This plant originally came from China., Tibet and northern areas of India. Not from America— challenge 1 for growing my own tea, especially Vermont in the middle of winter. (Totally not fair to get that little taste of Spring a week ago in BTV) You are supposed to grow tea outside in Zone 8 areas, which isn’t exactly near or around VT. Oh well! I’ll just do it inside and hope that my cats won’t mess this up for me. Okay, some direction, not much. So what now? As a 1st step my mom and I ventured to Gardner’s Supply on the interval. The staff there was soo friendly and super helpful. One of the ladies there whipped out what looked like the manual for the gardener’s dream and copied a whole page about growing and harvest tea for me. After I picked up my soil (which was actually meant for cacti) we were on our way! 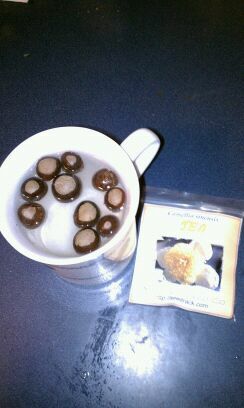 If you have never seen a tea seed before, they looked like hazelnuts! I never would have thought that they looked like this before so I was quite shocked when I received them in the mail. Per suggestion from the friendly staff at Gardener Supply, I have placed my seed in almost boiling water and now I’m letting them sit for 24 hours. 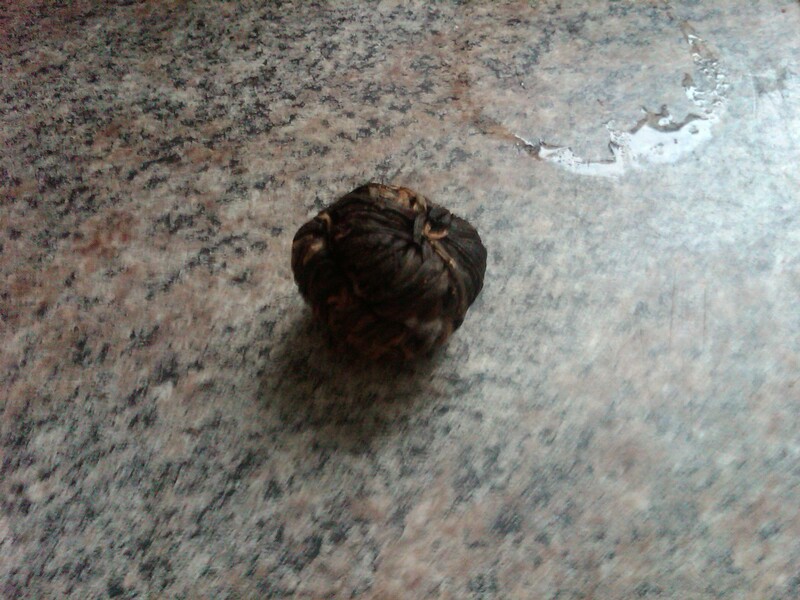 This is because when I recieved the seeds they were really hard and are dried out. So in an effort to make sure the germination can happen ASAP, soaking then will give me a semi-head start! I get to plant in 1 day! I’m so excited for this.